Spring is trying to get here. Really. You may not see it unless you look but its coming for sure. 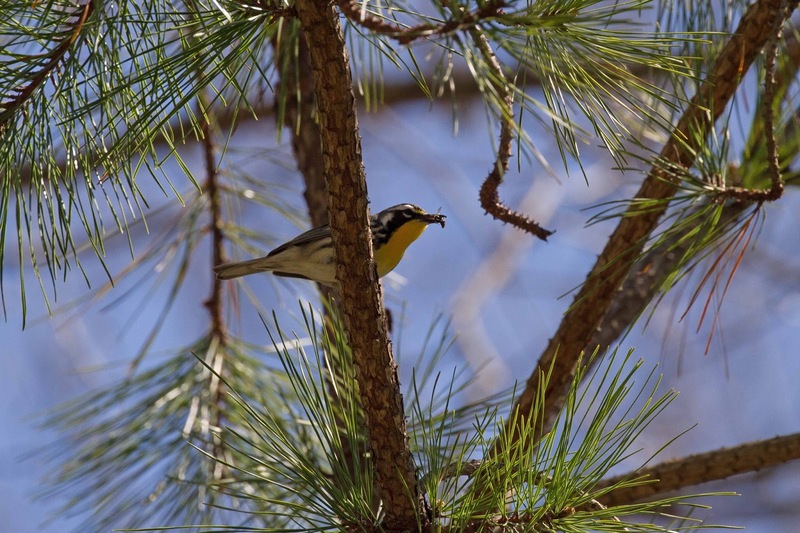 Each year birders get excited in April by a few early migrants like Pine and Palm warblers and Gnatcatchers. And then, nothing else shows up and we feel bad again. But the end of April comes along and we get glad again. 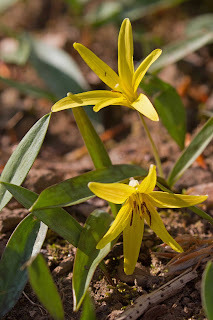 Here are a few things to make me feel good about spring. 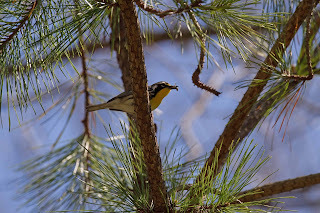 First up - Yellow-throated Warbler. You may remember that we saw these in Honduras in March. Well, they are here now. Just like that. 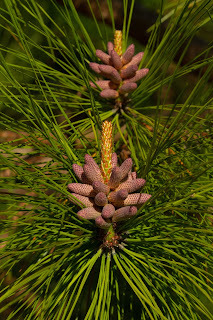 Here is one with a bug at Belleplain State Park in NJ. Shorebirds are coming back too. Here are some Dunlin. The one flying in looks like he is conducting the orchestra. Maestro! 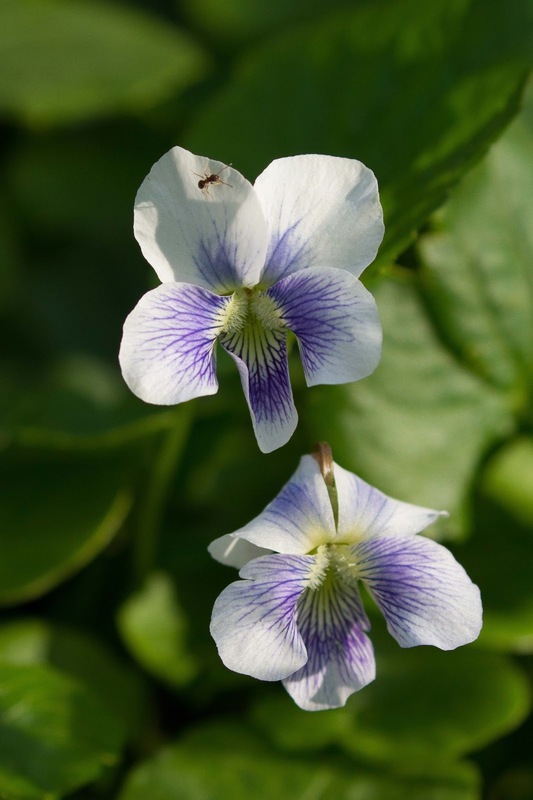 More signs of spring include flowers of all sorts. 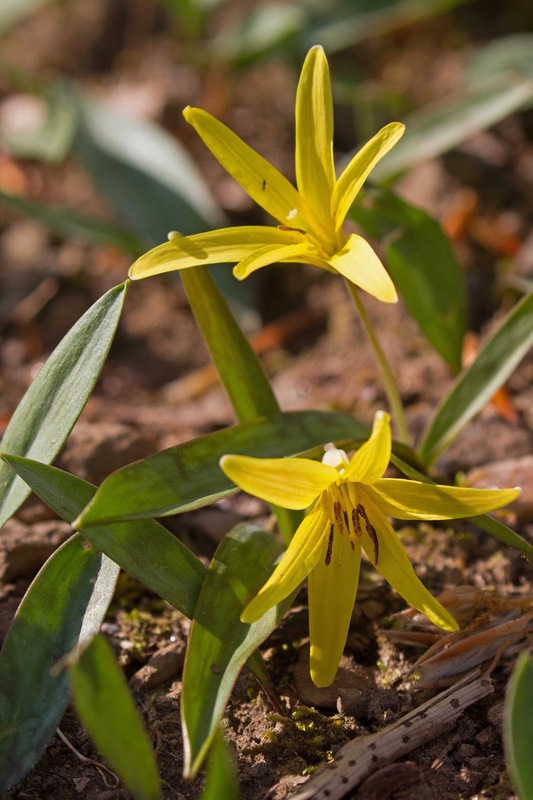 Wildflowers include this Trout Lily. And yes, these are flowers too. 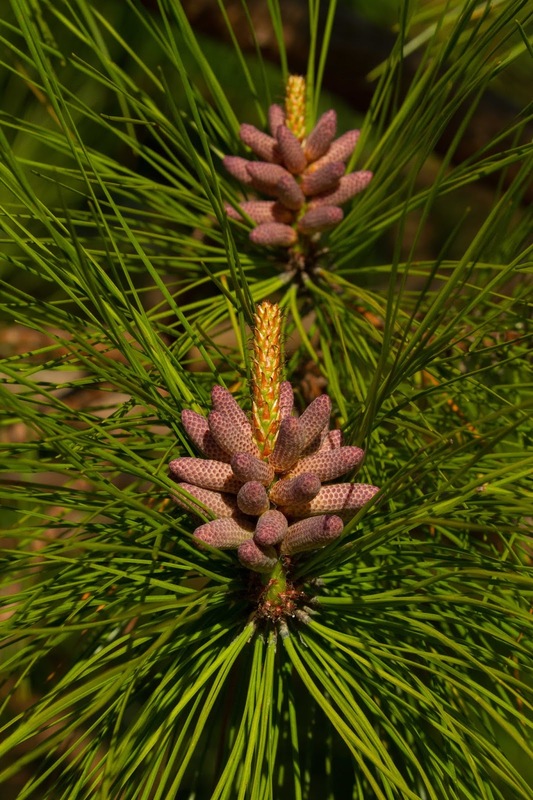 Pine flowers that they call "candles". Nesting is in progress by some of our birds. 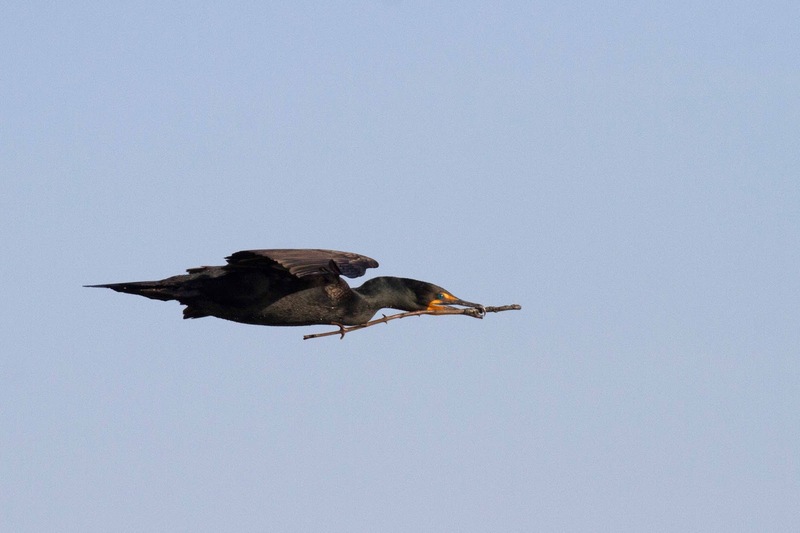 Here is a Cormorant bringing a stick in to the nest colony. 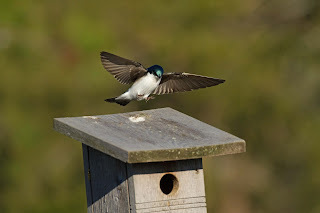 This Tree Swallow was pissed at Peanut who kept running around the nest box. 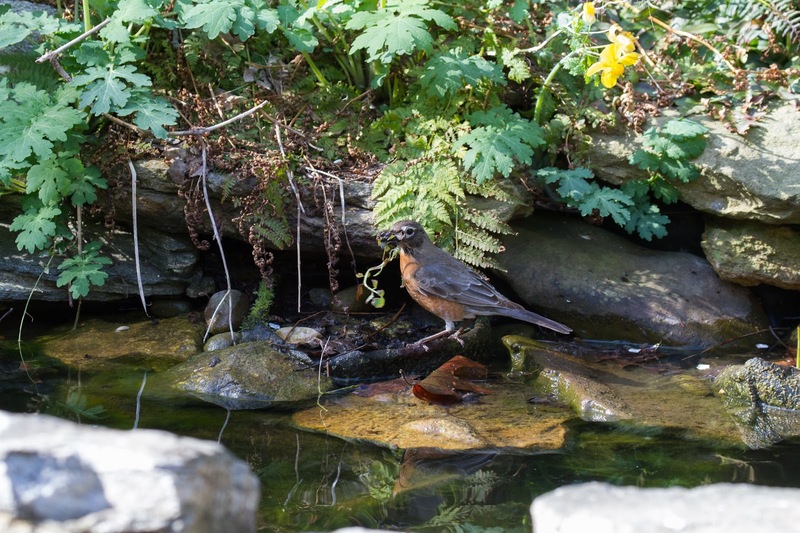 This Robin has been picking wet, gooey leaves out of our pond to build her nest. 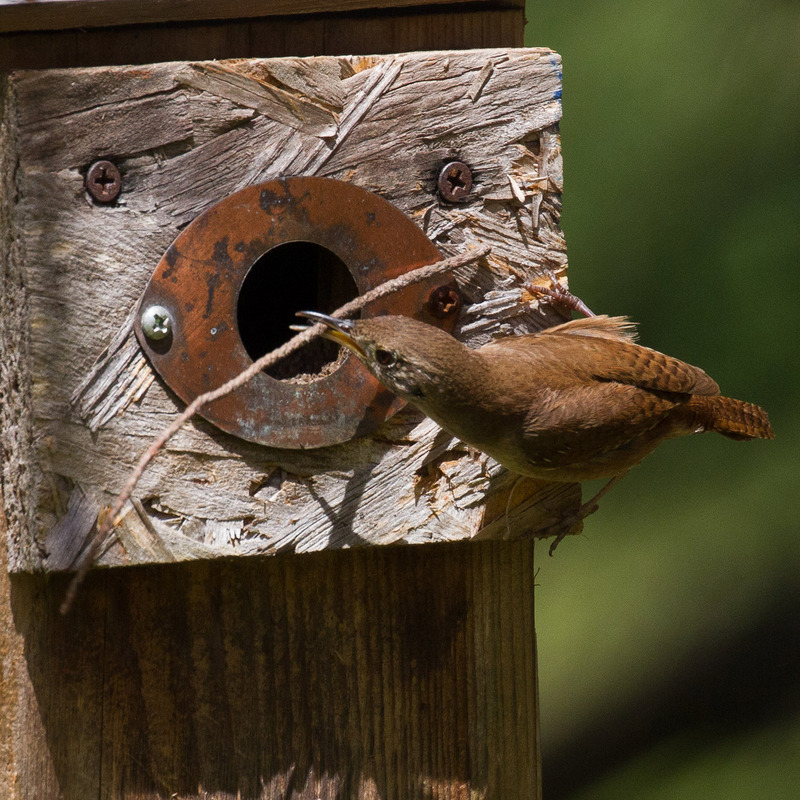 And this House Wren is making his house in the nest box in our front yard. Chickadees already have 7 eggs in a nest box on our patio. The "nest box" was a bird feeder gift from Jill and Becky which was covered with birdseed. The seed was picked clean over the winter. Really bad photo taken with my iPhone but you get the gist of it. Here's to spring. Its just beginning.